Many years ago I bought a limited edition copy of the Two Towers. 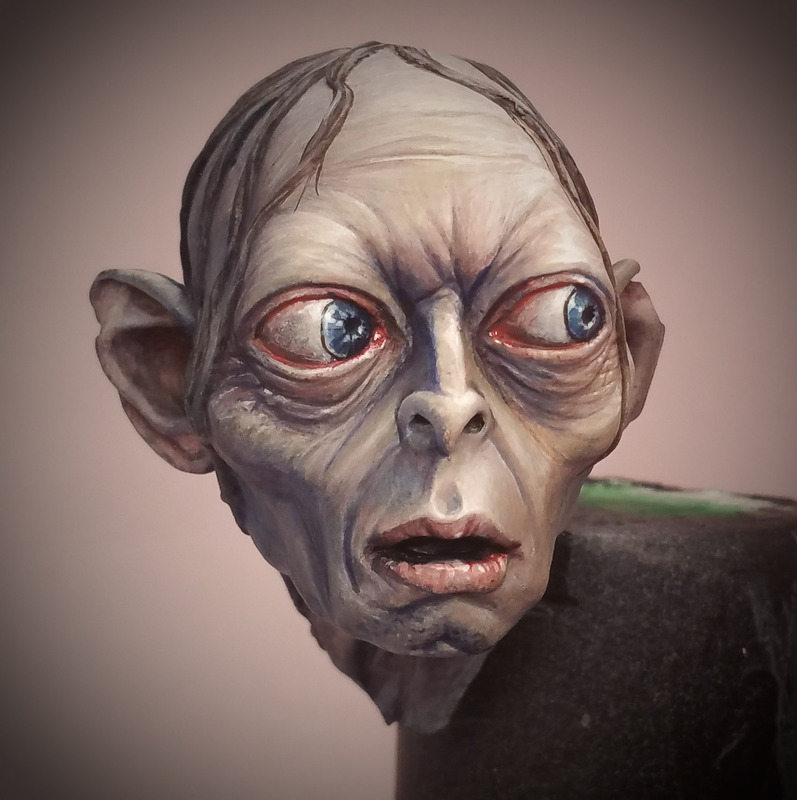 I liked the movie but mostly I wanted the poly resin statue of Gollum that came with the box set. 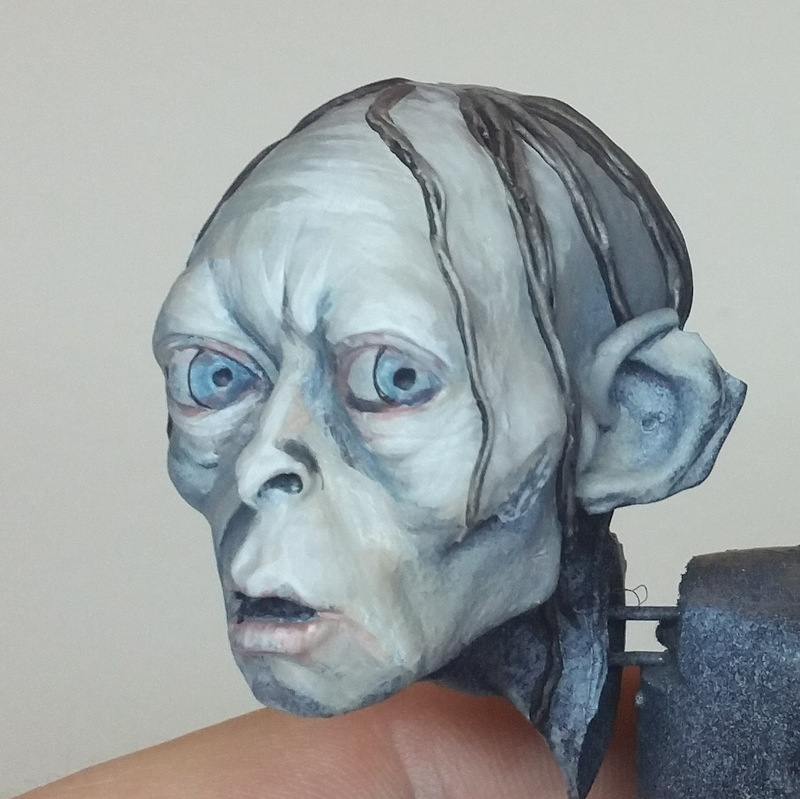 Even through the thick Chinese pre-paint I could see the beautiful sculpting of the WETA studio. 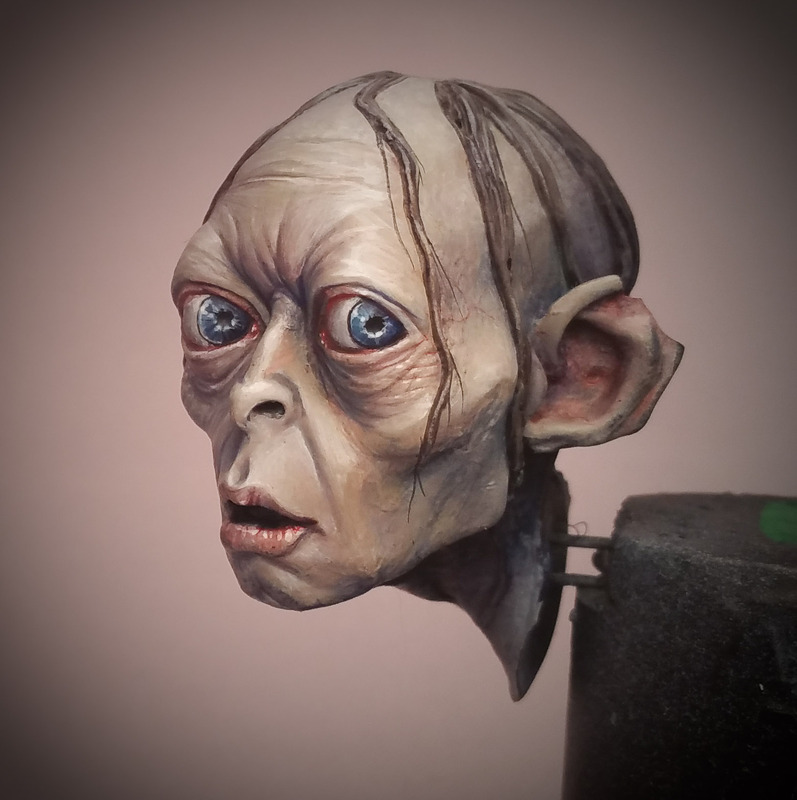 I told myself I would repaint him someday when I had time away from studio painting, but that free time was always fleeting and spent on better things. 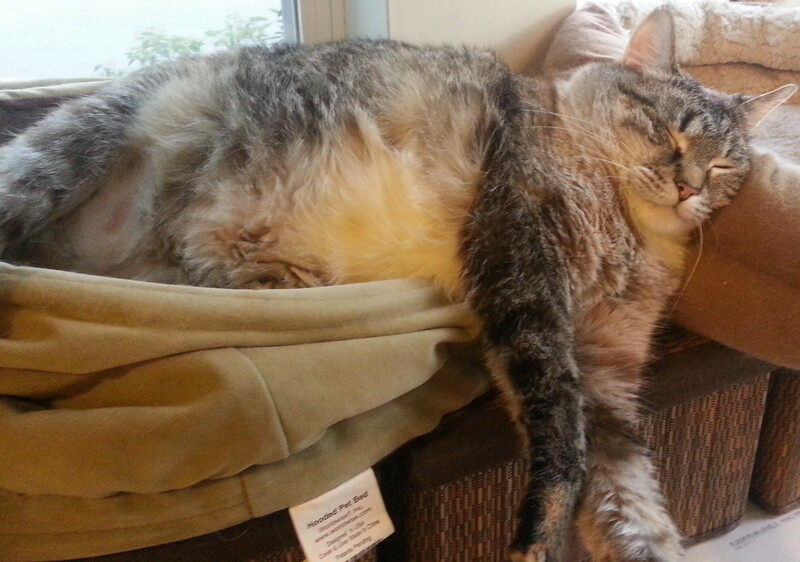 Eventually my fat cat grew tired of his loathsome skulking. No doubt he had some harm planned for me as he crouched high on the shelf. So, like a faithful Sam, she booted him down to his doom! 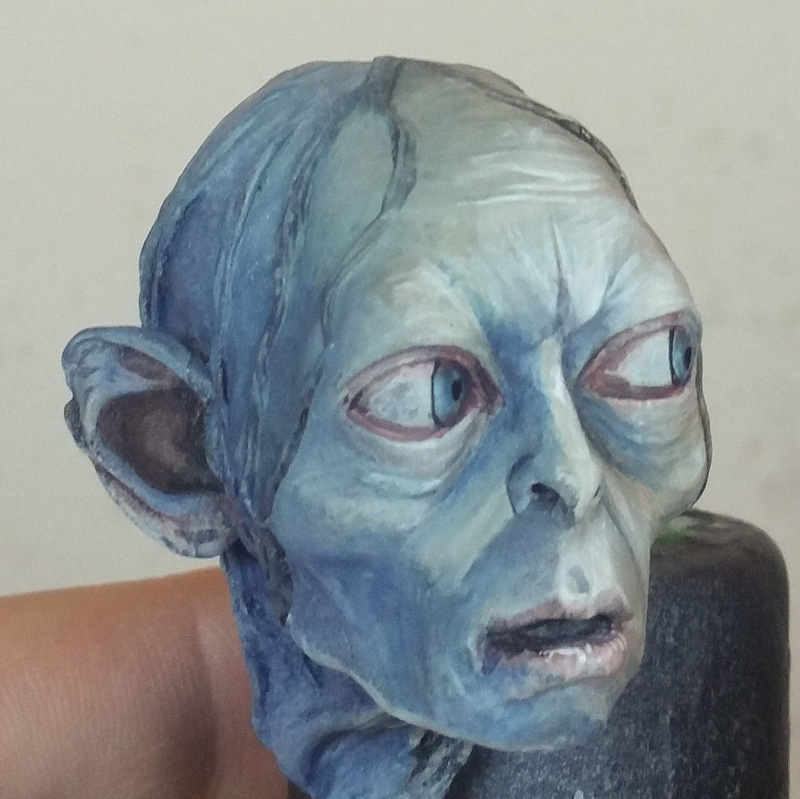 Although Gollum’s body was shattered beyond all healing, his head was left intact, so I kept it on my shelf. Recently I was seeking good pieces to paint on as examples in my Sketching class at Adepticon. 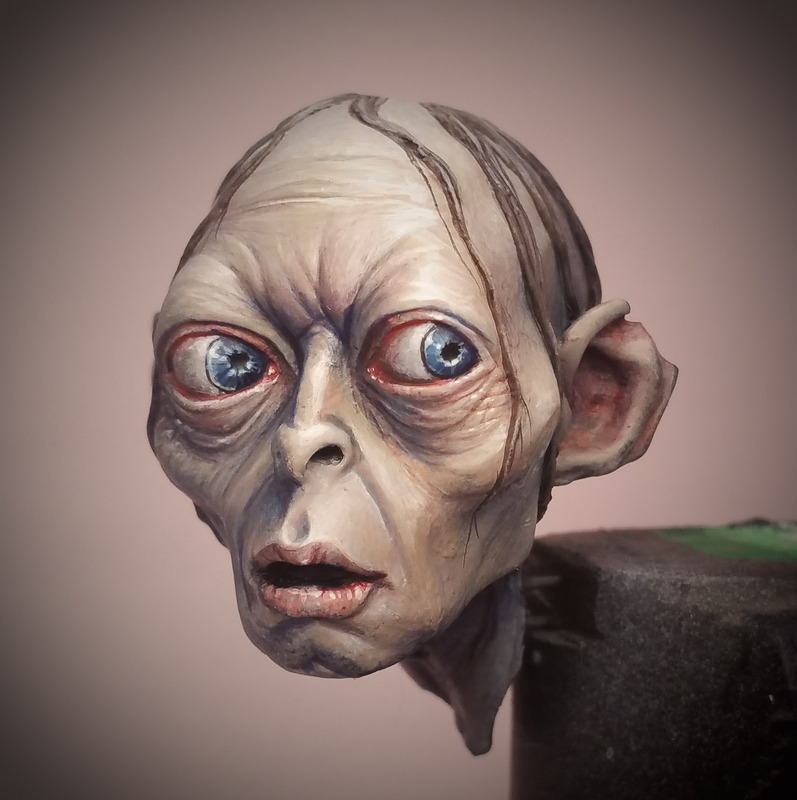 Gollum seemed to me a perfect piece to demonstrate the illustrative sketching technique. 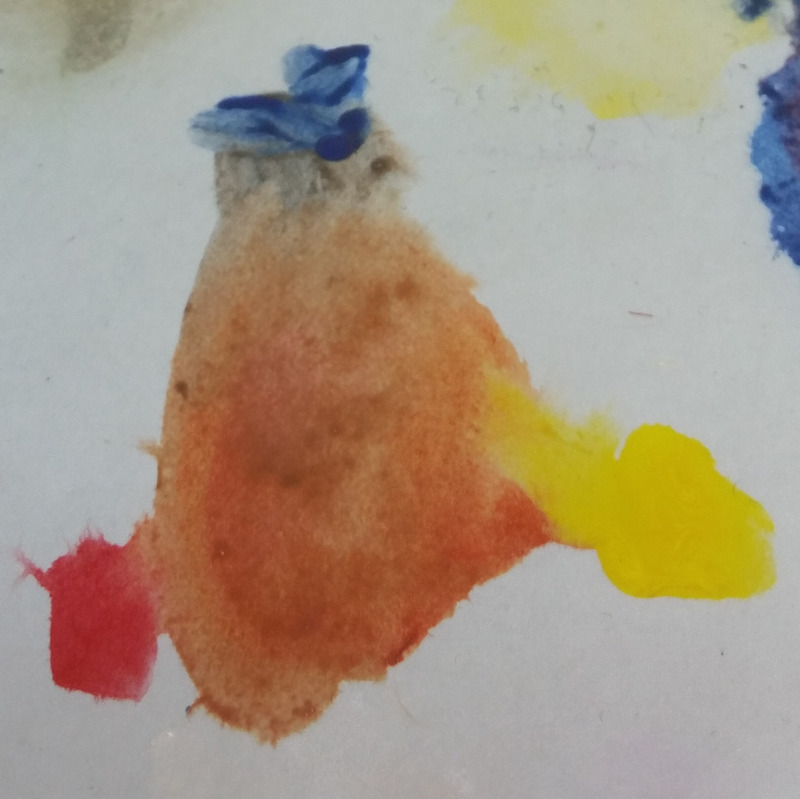 This technique is akin to how a fine artist would approach a portrait: by sketching in the rough placement of both color and luminosity. 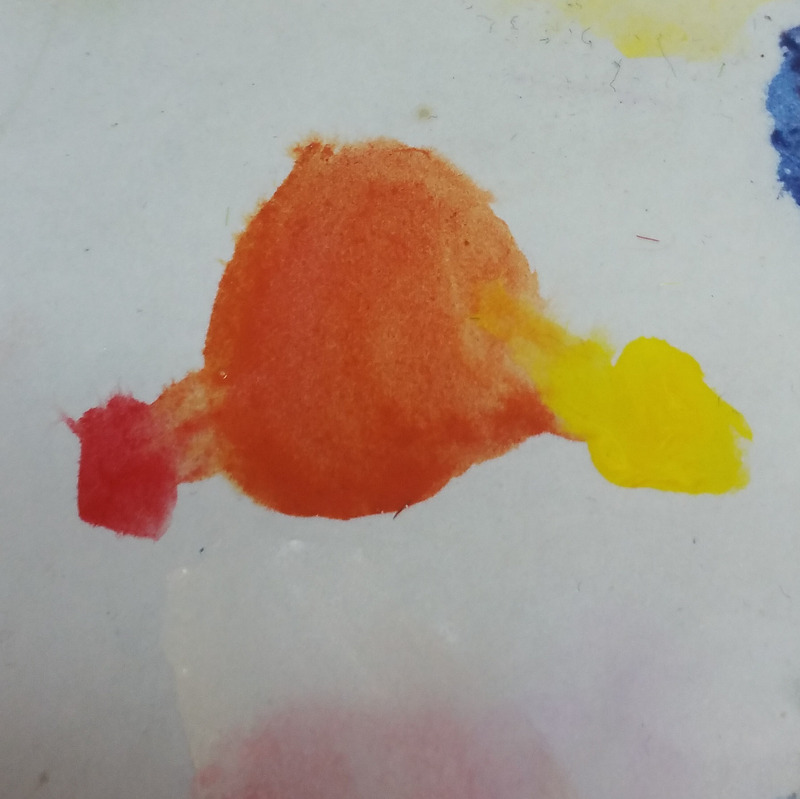 You work with thick paint applied in a wet on wet fashion. This sketch took 5-10 minutes but even in that time you can capture the spirit of the character. 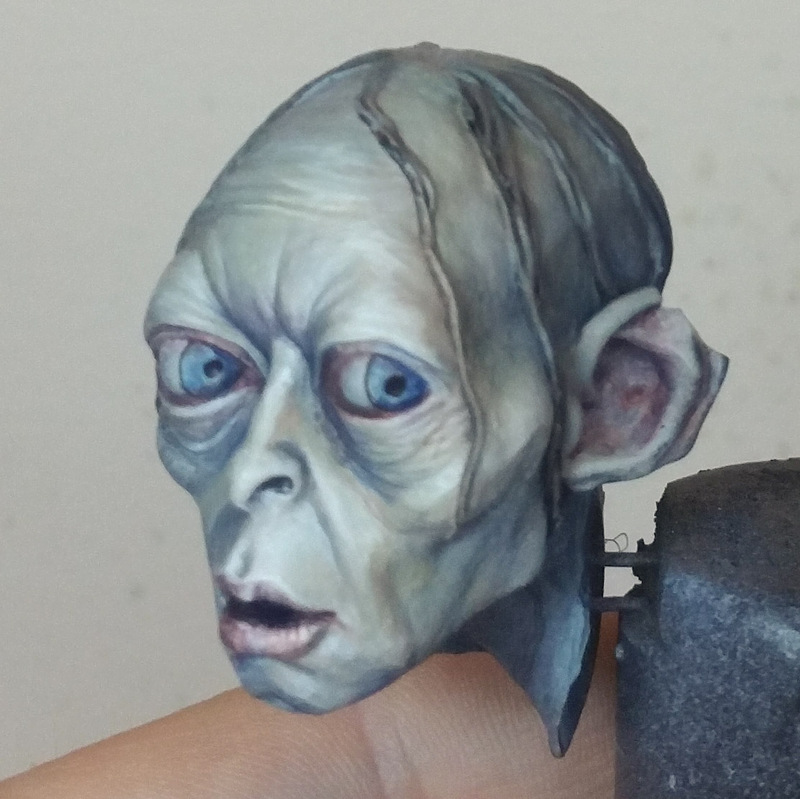 Indeed, some times it seems I can forget the character if I focus on smooth blending and precision from the very beginning. I mixed all the colors using only the three primaries plus white. That’s right, every shade and skintone was made from some mixture of golden brand Pyrrole Red, Prussian Blue, Hansa Yellow, and Titanium White. 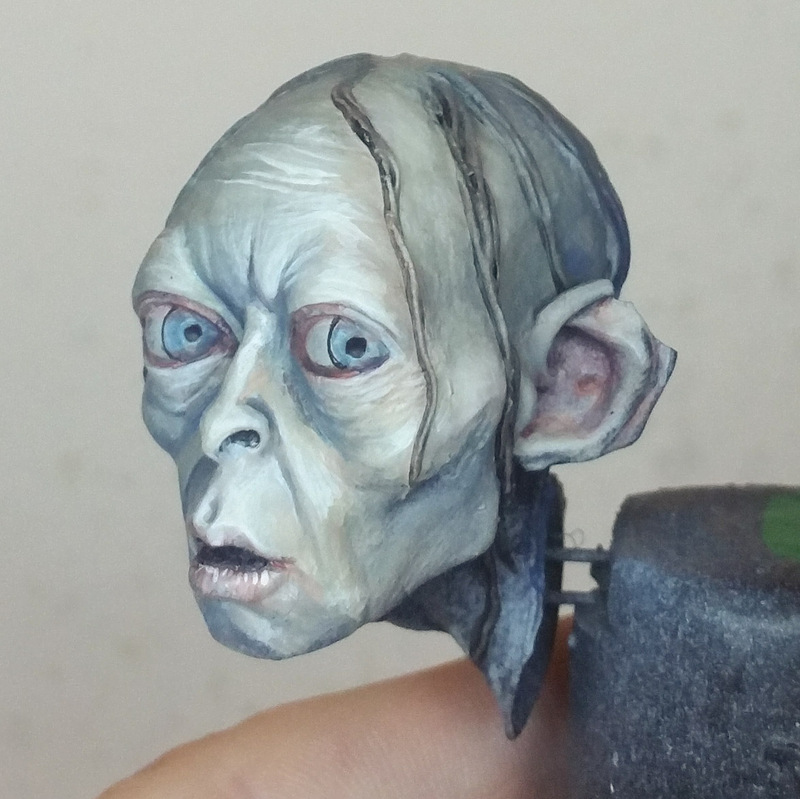 The advantages of using this method are numerous but for this article I want to focus on skin tones and how to achieve an infinite range of fleshtones by mixing from the primaries. The first thing you must understand is that fleshtone is always a mixture of all three primary colors. Start by mixing two primaries. For sunny skintone I mix orange. Slowly add the third primary making a colorful brown. As you get comfortable with the process you will find you can make micro mixes of fleshtone anywhere on your wet palette. Start with a color and add it’s complement, then obtain the luminosity by adding white. 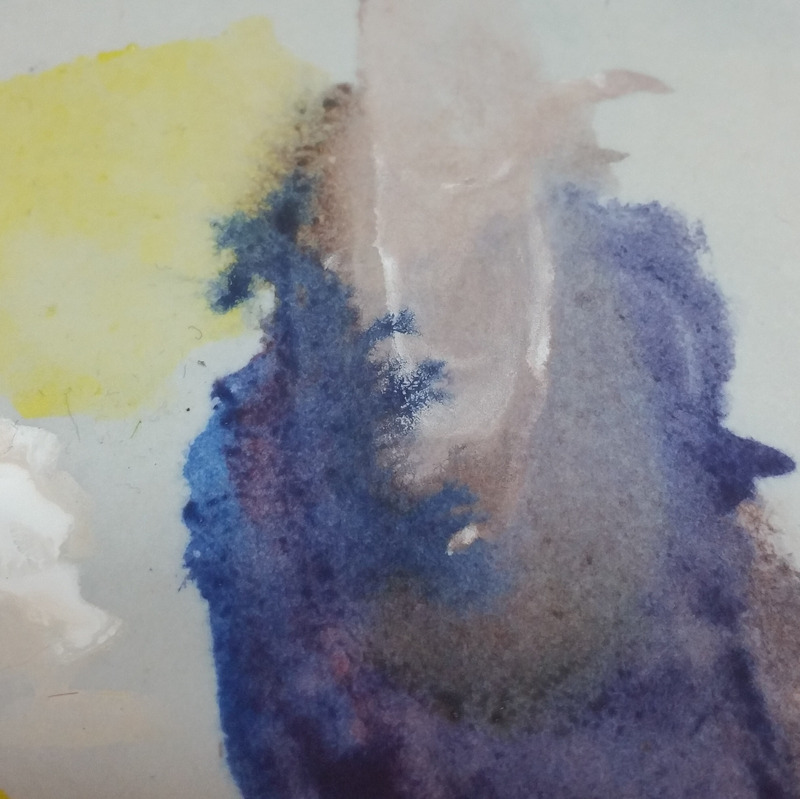 Can you see how a cool fleshtone was mixed from this purple on my palette? From the initial sketch I use powerful colors and bold brushstrokes to apply a variety of fleshtones. From the right, the tones start warm then move into white highlights marking the key light, then they become green and fade into blue. The next stage is all about texture. I focus on defining the lines and wrinkles of the face in a bold manner. I use strong colors including pure primaries in some places. I can be bold because I know these lines will be softened by the final stage. In the final stage I blend. Here I use glazes to soften and the boldness and texture. The blending focuses on the more general shape of the face and skull softening the wrinkles and giving proper balance. Lastly sharp details are picked out with highlights. Well I hope you’ve enjoyed watching me finish the sketch! If you want to learn more about the illustrative technique check the page of my friend and teacher Alphonso Giraldes aka Banshee. Or, better yet, take his class and it will change the way you paint! Did you like the article? Do you feel inspired? Consider making a donation. Every dollar helps us know that we’re doing things right and pushes me to write and educate. 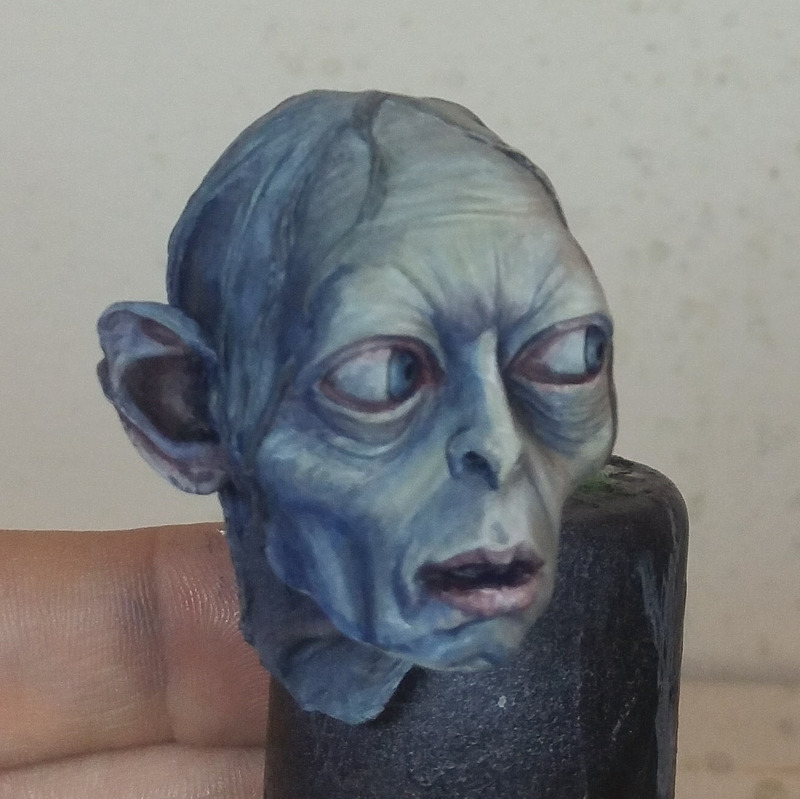 Are the cool blue gollum and the warm flesh-toned one the same? How did you go from all cool colors to almost all warm ones? Hi Joren, thanks for the comment and sorry for the delay in answering! They are indeed the same bust. I wanted an effect of a cold cave like atmosphere. 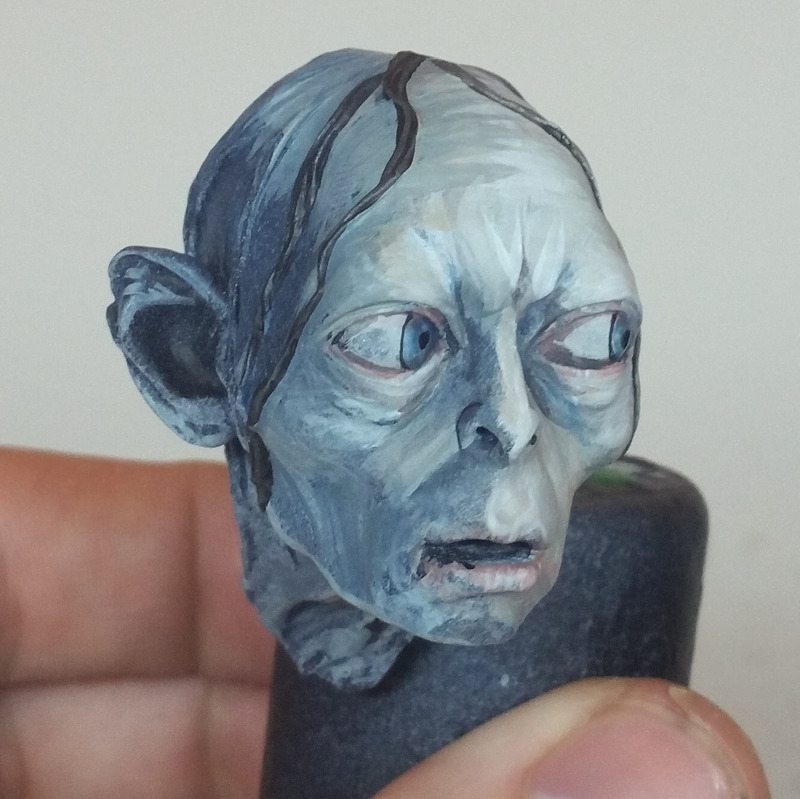 So I started with cold colors to insure this but I knew that if the flesh looks cold he will look dead. 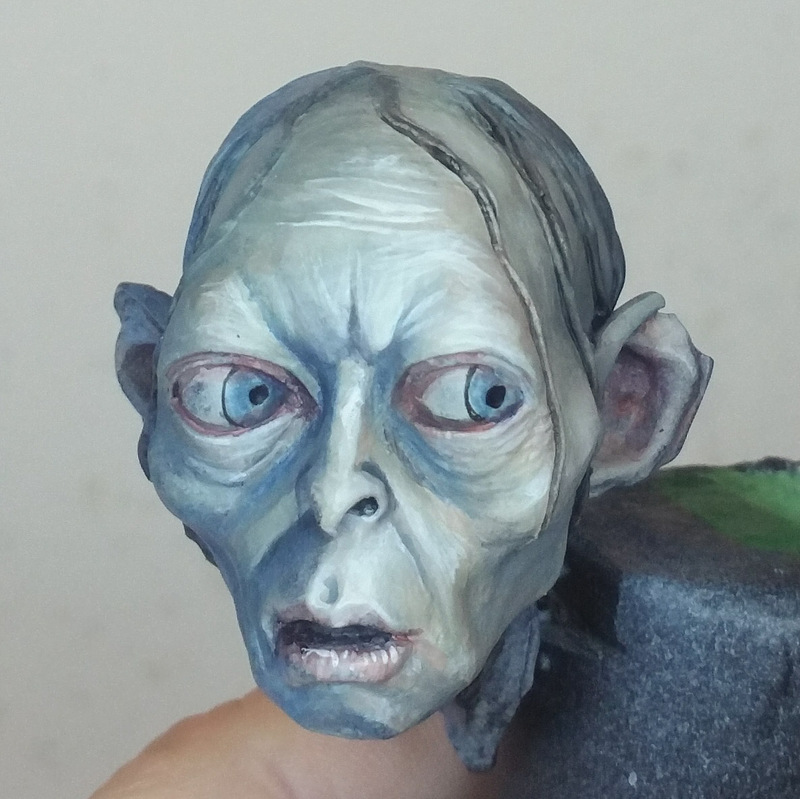 So as I add details, highlights, and blending I used warmer flesh tones. This means there is more visual interest because there is a contrast between warm and cool colors as well as the other contrasts. The shadows are cold and blend to warm colors and there are small red details that grab the eye and focus the attention of the observer. 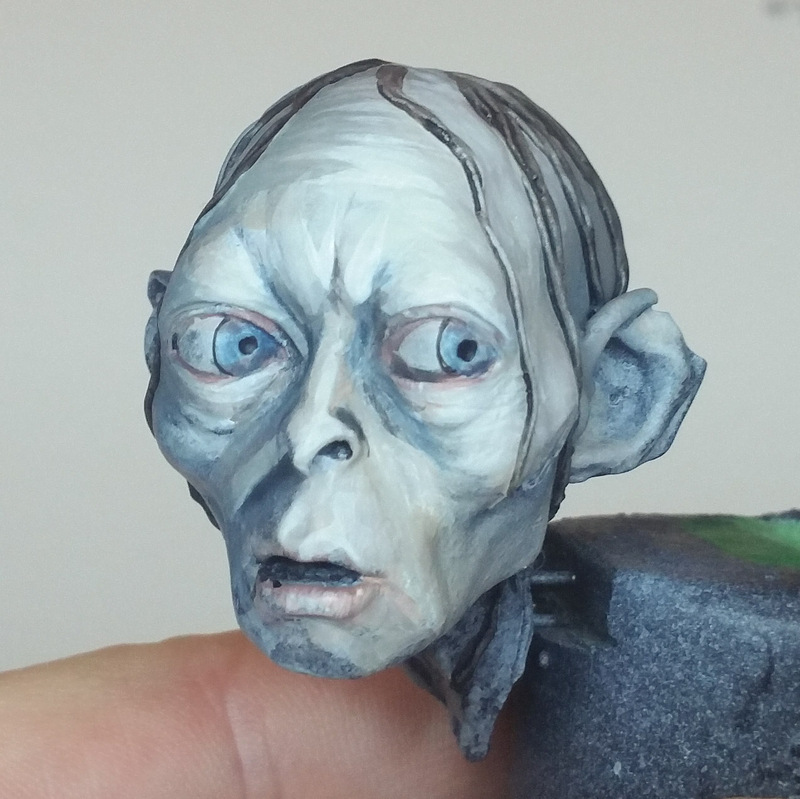 If you make a model all cold colors or all warm colors the effect will not be as interesting because there is less contrast. That’s amazing. Thanks for the reply. Does that take many dozens of glazes to transition the colors so completely? It’s a really intrigueing article and concept, but I gotta say I get lost with all the jargon. Is there anywhere you could recommend to understand all the terms you throw around so casually? It all looks fascinating, but it’s a bit impenetrable without some sort of guide. Enjoy and paint bravely Evan! Wonderful Matt. I like your fine art approach something I use with historical miniatures particularly German Flats. It’s a big help in working out placement of highlights and shadows. Great article. 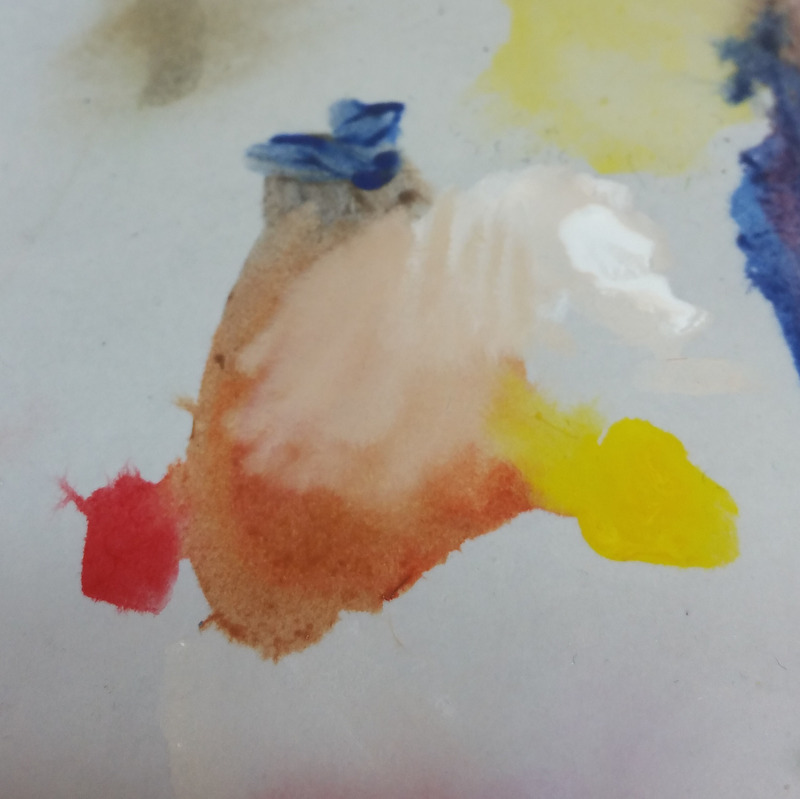 Curious…are you using Golden tube colors or the fluid acrylics? Are they satin finish? I’m using golden heavy body tube acrylics. I find that I like the option of additional thickness. 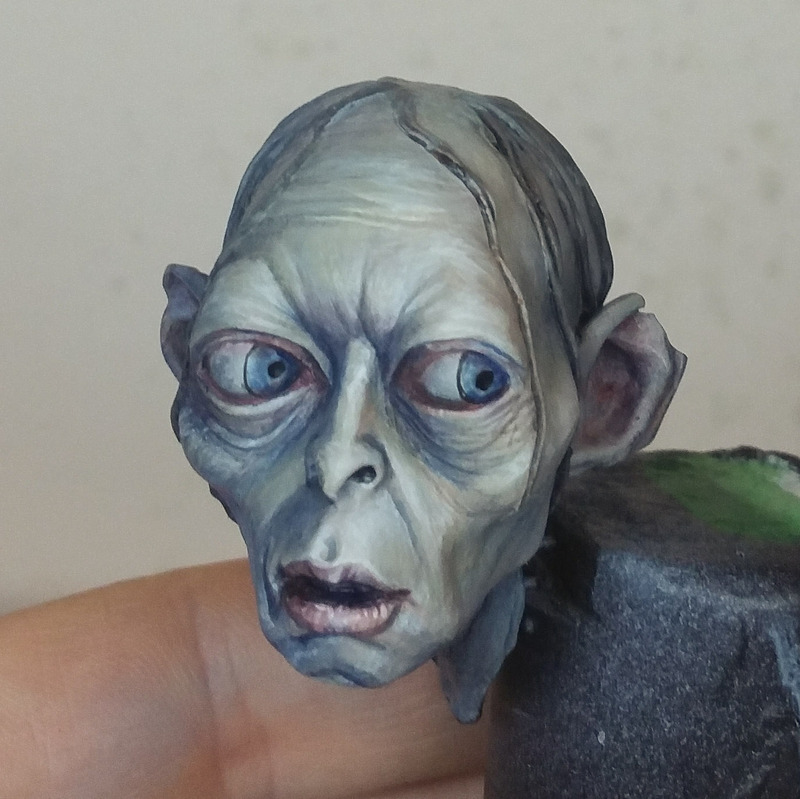 I can always thin them down to a more fluid state and thick paint can be a joy to wet-blend. I think this is more a matter of personal preference though because the choice would heavily depend on your approach and array of techniques you are planning to use. The paints vary in finish and some can be quite glossy but a little dullcoat at the right stage solves this problem.